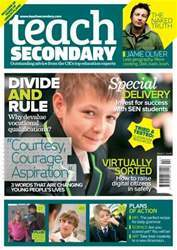 How to: transform attendance and behaviour; invest in assistive technology; keep students safe online; plan a world-class PE curriculum; and more… Issue two sees TS visiting a Nottingham academy that places ‘wonder’ at the heart of everything it does. Professor Mick Waters argues the case against the drive to devalue vocational qualifications, and new research reveals some intriguing truths about how teenagers’ brains really work. 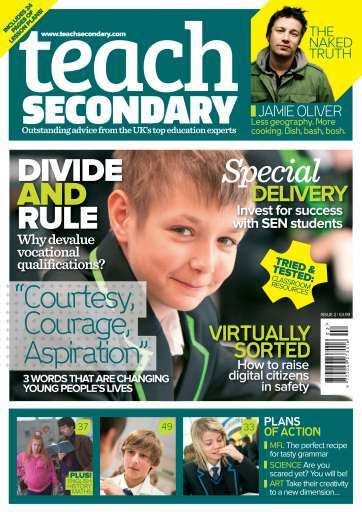 As internet access becomes increasingly integral to classroom life we have some timely advice on keeping our young digital citizens safe online – while lesson plans include ideas for 3D art activities that could unlock a surprising wealth of hidden potential, and a gloriously grim look at medieval medicine for KS4 history students.